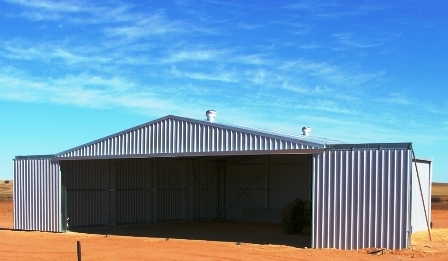 Aircraft Hangars - Build your Aircraft Hangar the Specialised way! 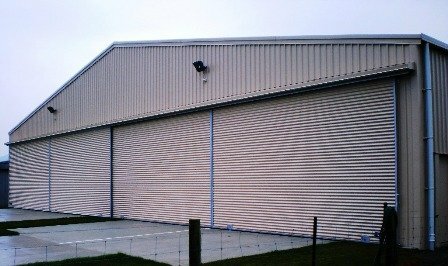 We can build you an exceptional Aircraft Hangar! 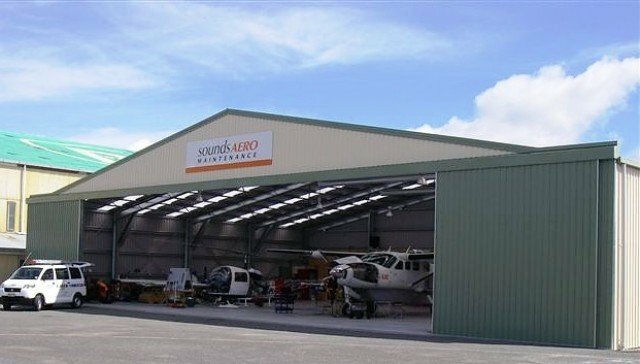 Specialised Structures design and build any aircraft hangar of any size, from small single-plane buildings, to multi-plane complexes. 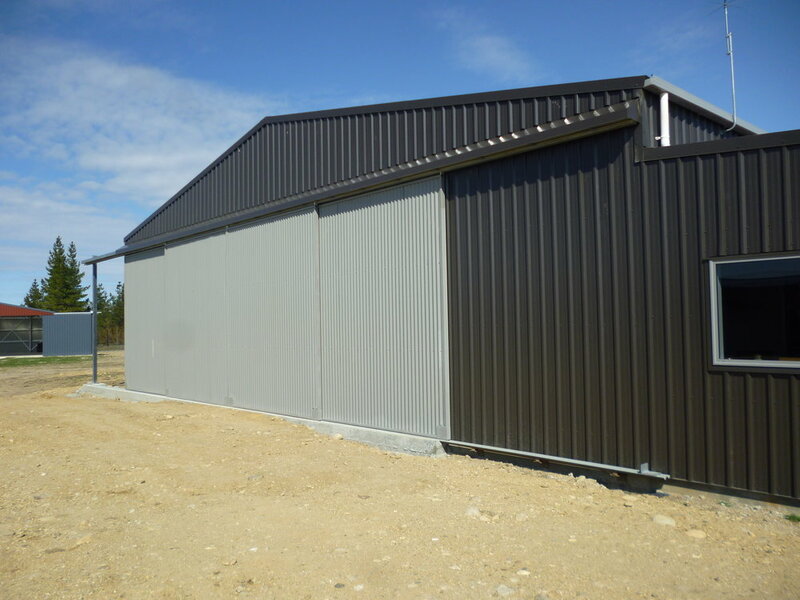 Specialised Structures offer a full range of door options including sectionals, rollers, sliders, bi-folding and stackers. 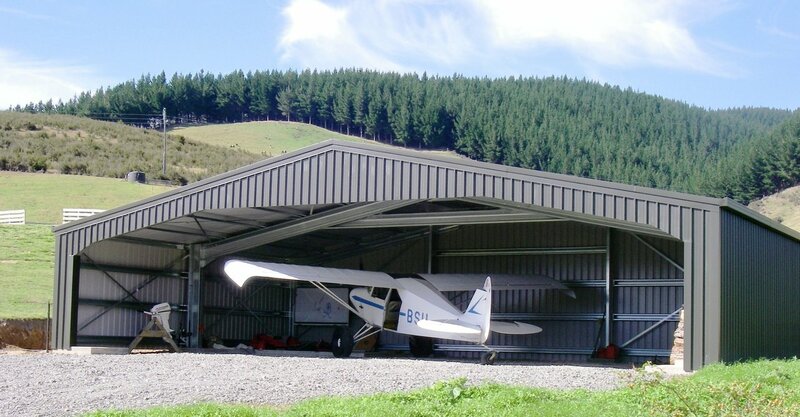 New Zealand Aircraft Hangars specifications and design standards change regularly. It’s important to speak to an expert from our team, who can advise you on what your best options are. 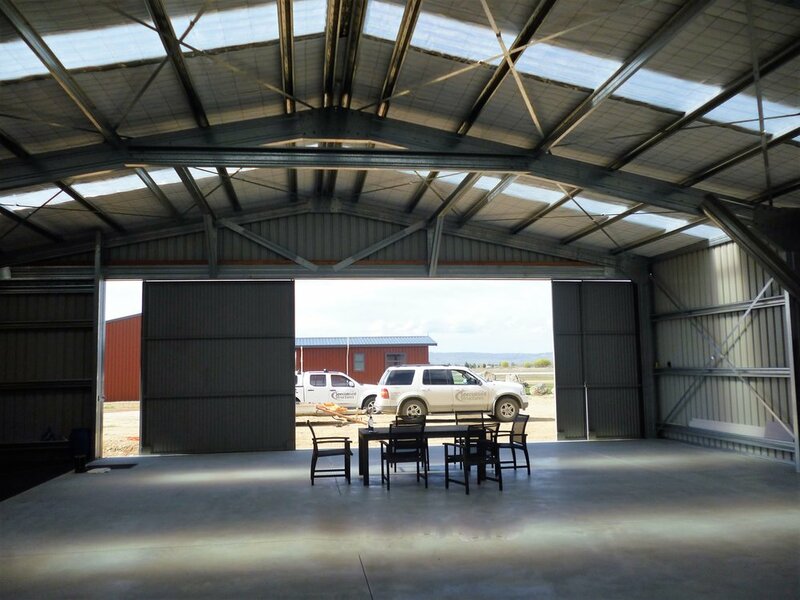 We prefer to use site-specific engineering, superior strength steel and large clear span designs. 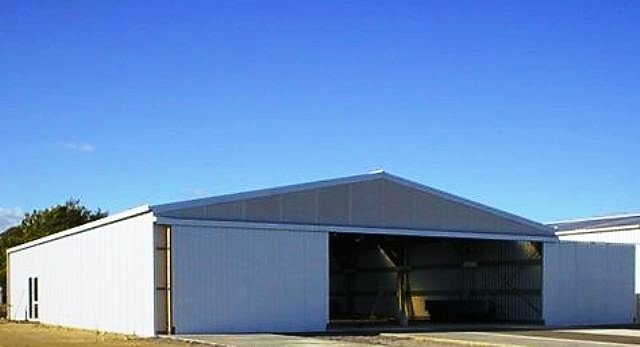 This ensures we provide aircraft hangars that surpasses your expectations. 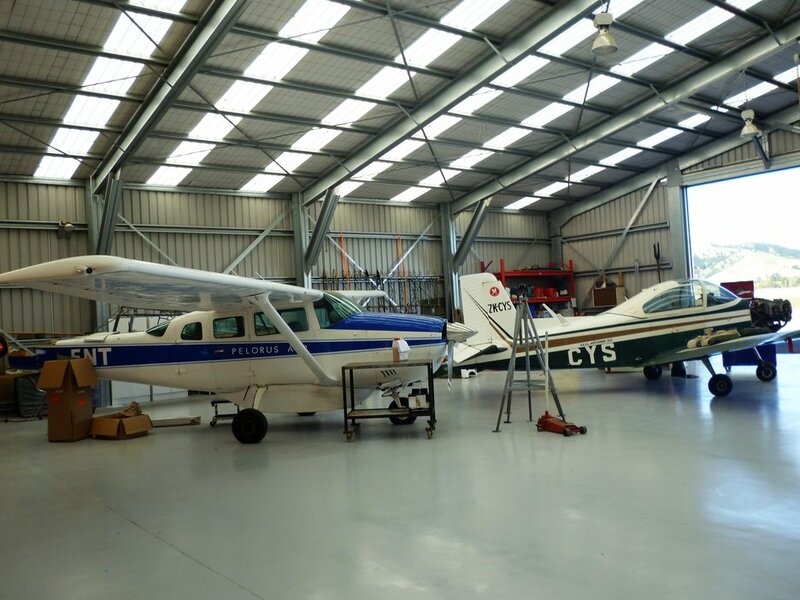 The clearspan designs and in-house software help you to visualise your aircraft hangar structural design, and help to calculate construction costs. 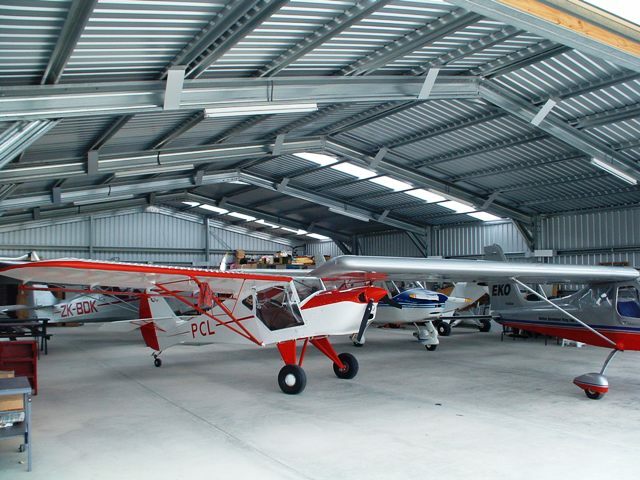 Our team will design and build the perfect hangar to fit your aircraft, with flexible customisations. 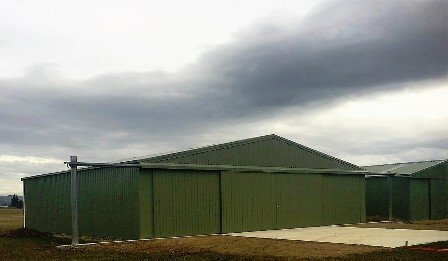 We can chat about your aircraft hangars design plans and can turn your dream into reality! Did you know the Wright brothers stored and repaired their 1902 aircraft in a wooden hangar? 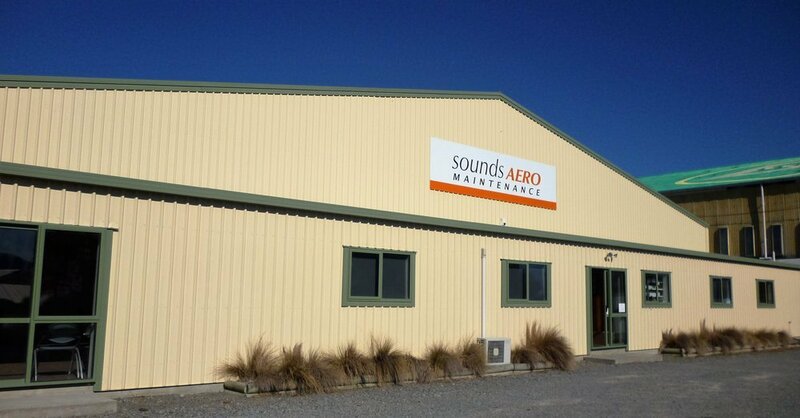 We’ve come a long way in aircraft hangar construction, both with building materials and advances in technology. The passion for flying hasn’t changed. To discuss the timeline and costs, request an estimate here or contact us today. 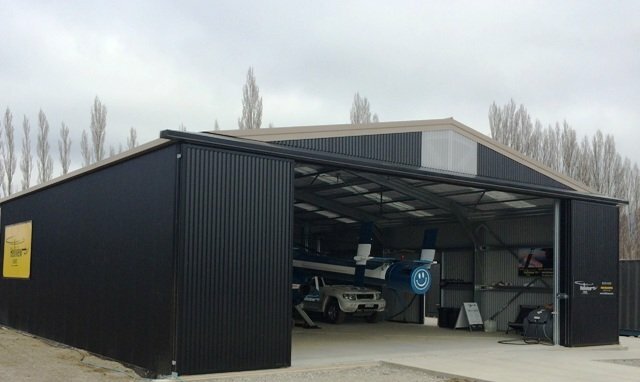 Aircraft hangars come in all sizes and we can customise a design and build solution for your specific needs. Our designers use state-of-the-art software that will help you visualise your plans easily. 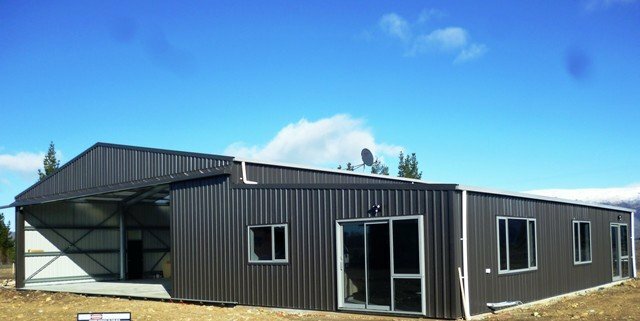 We provide practical solutions for your particular needs. 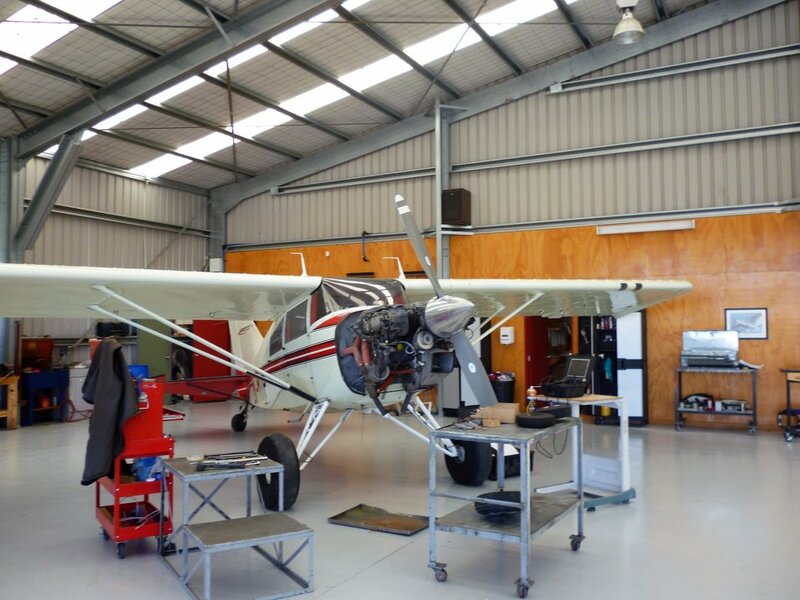 With site-specific engineering analysis we can offer advice on the functional and practical considerations for your hangar.